As the Belfast Comedy Festival enters its third year, it captures a moment of rude health in the Northern Irish comedy scene that hasn’t been seen since Patrick Kielty enthralled audiences at the Empire Comedy Club in the 1990s. Although Belfast has always been a city with a deep-rooted (and, of course, dark) sense of humour, reflected in its literature, poetry, theatre, and quickfire street banter of its inhabitants, stand-up comedy as an art form has been surprisingly slow to develop here. In contrast to comparable cities like Dublin, Glasgow, Newcastle and Liverpool, Belfast has taken its time to embrace and nurture a vibrant native stand-up comedy scene. This explains why – aside from Kielty, arguably – Northern Ireland has failed to produce a Kevin Bridges or Sarah Millican at the national level. Now, in 2014, the Northern Irish comedy scene is raucously alive and growing from strength to strength. 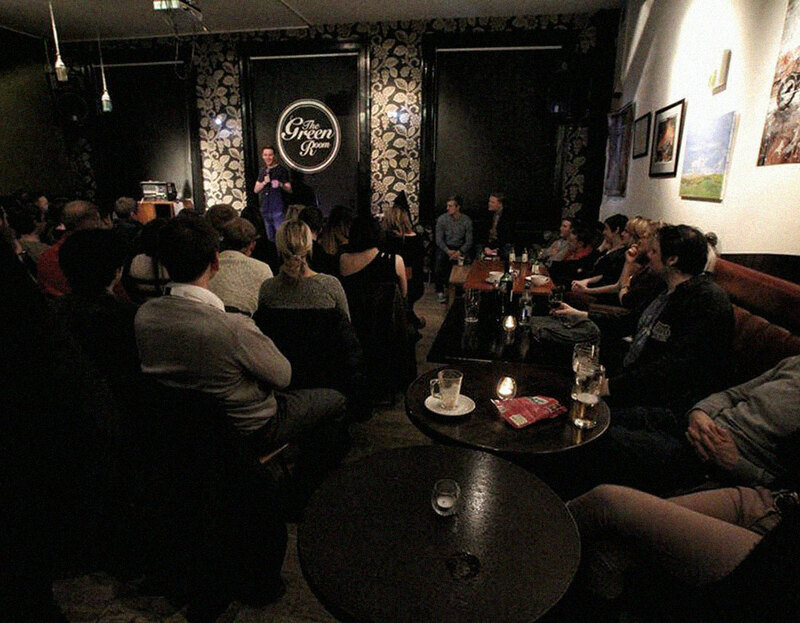 Alongside the long-established big comedy clubs such as those at the Empire and Queen’s Student Union, the pioneering amateur nights which launched the new generation of stand-up comics – such as Monday Night Comedy at the Pavilion and Voicebox Comedy – continue to nurture and challenge new talent. Meanwhile, Belfast venues such as the Black Box, Laverys, The Sunflower and Maverick, as well as Masons Comedy Club in Derry-Londonderry and Dalys Comedy Club in Omagh, provide a platform for those who have honed their skills well, and offer audiences a more diverse choice of acts, styles and comedic voices than Northern Ireland has traditionally produced. Indeed, a rich diversity in styles is a notable hallmark of the current Northern Irish comedy scene. While there is still room for the localised political comedy that has played a staple role in local comedy from its beginnings, there has been a distinct move away from this within the work of the new generation of comedians. Absurdist clowning, laddish banter, personal confession, stand-up poetry, slow-burn storytelling and musical comedy have replaced the once radical, now stale pops at local politics. While local media has yet to find an adequate vehicle for many of these new rising stars, these emerging acts are making an impact elsewhere. At the 2014 Edinburgh Fringe Festival, an unprecedented number of Northern Irish acts were represented, with acts such as Paul Currie, Micky Bartlett, Alan Irwin, Christian Talbot, Ursula Burns, Ronan Linskey, George Firehorse and Luke McGibbon receiving significant praise and accolades at the UK comedy industry’s annual shindig. Yet the Northern Irish comedy scene remains in a fairly rudimentary stage of development. The live scene shows no signs of dying out any time soon, but remains largely non-commercial, and local media has yet to invest in any significant way in developing the skills or raising the public profile of new talent. The continued lack of female voices within the Northern Irish comedy scene is also a disappointment. Northern Irish comedy has long been an almost exclusively male dominated field. Although this is beginning to change, it is apparent that stand-up is still viewed as being relatively exclusive of female performers. Voices from Northern Ireland’s ethnic communities would also add to the richness of the scene.